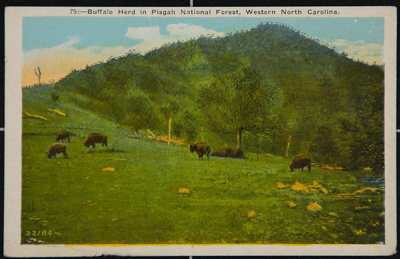 Buffalo Herd in Pisgah National Forest, Western North Carolina. Halftone photograph of a buffalo herd at the Pisgah National Forest. They are grazing along a hill with some trees in the back.